Picture from top of light... full tent, beautiful view. 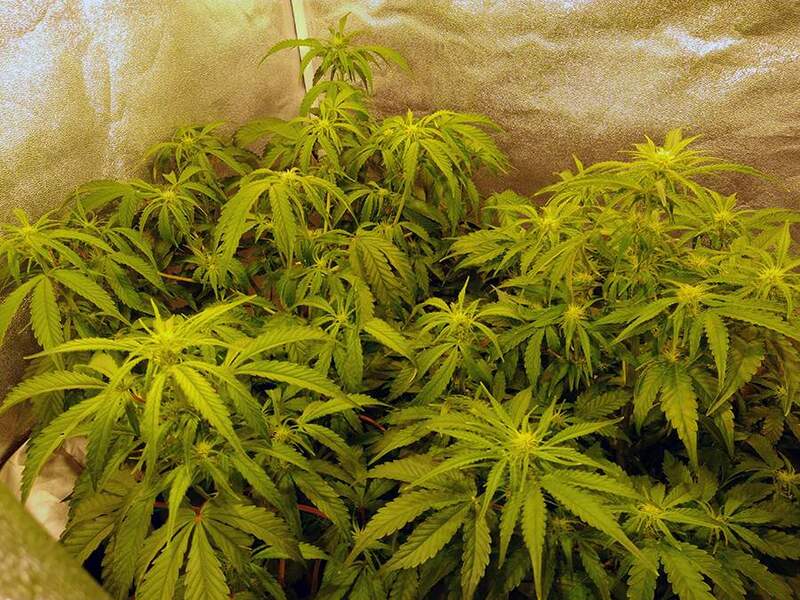 You can see how good they look now, after some days when I heavy defoliate them and train them. However I think next time I will not do this anymore.